While it closely resembles ordinary link breakfast sausages, its unique combination of spices and other flavorings set it apart from other types of sausage. In this article, we learn how to cook fresh Kielbasa. Kielbasa is the Polish word for sausage. The English Oxford dictionary defines “kielbasa” as “A type of highly seasoned Polish sausage, typically containing garlic.” In the United States, if you tell someone to pick up a package of Kielbasa on their way home, they are likely to arrive with a U-shaped smoked sausage encased in a vacuum sealed plastic package. 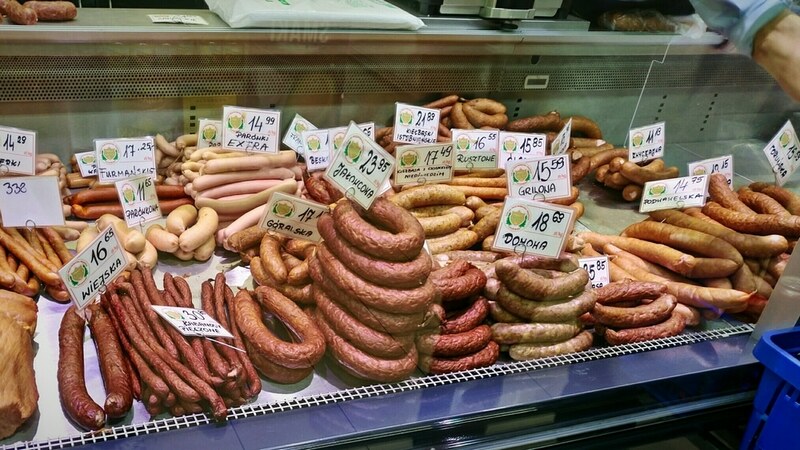 If you ask for kielbasa in Poland, you might get an odd look and some sort of ground pork meat, with or without a casing. Such is the interesting way words acquire added meaning when they travel from one country to another. You can purchase fresh Kielbasa in many supermarkets, including Walmart. Look for it in the fresh pork section of the meat case. It should be the sausages that look white but are encased in sausage tubing. Like other sorts of fresh ground meat, it is likely to be contained in an ordinary meat tray with a plastic wrapping. If your local market doesn’t have fresh kielbasa, don’t despair. You can easily make your own. It isn’t an exact science, but the basics are shown below. To make your own fresh kielbasa you will need hog casing, four pounds of well-marbled hog meat (the shoulder is good for this), garlic, black pepper and marjoram. Grind the meat and mix it with the spices. It is also a good idea to have a sausage stuffer on hand. You can make your kielbasa unique to your household by adding your favorite kinds of spice. Spicing raw meat can be tricky, however. Make a small batch at first, and write down the proportions. Fry up a small patty of your sausage mixture and give it a taste test before stuffing the sausage casings. This gives you a chance to add a little more of this or that before you’ve committed a large amount of supplies to something that just isn’t quite what you intended. If it tastes just right, tie a knot in one end to the sausage casing, slip the other end over the nozzle of the sausage stuffer, and fill the casing. You can tie off the casing every few inches to make natural places to separate it. Once the casings are stuffed, you are ready to move on to the next steps in your personal sausage making. Once you have purchased or made your Kielbasa, the next concern is keeping it fresh until it is cooked. You can store fresh kielbasa just as you would any other fresh sausage. It can be refrigerated for two to four days in the coldest part of the refrigerator. If you aren’t going to use it within a day or two, it keeps perfect well in the freezer. 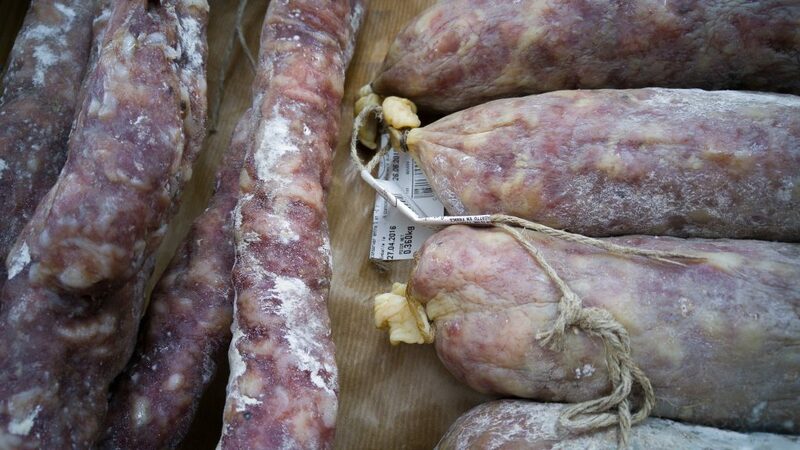 Fresh sausage should be cooked or frozen within two to four days of preparing or buying. It is a good idea to freeze it as soon as possible if you do not intend to use it up right away. Even though it might contain a lot of spice, it is just as likely to spoil as any other kind of raw meat. You can boil fresh kielbasa, and it really is the best way to cook it. You should keep in mind when cooking fresh polish sausage that you are dealing with raw pork. It is not ready to eat until after it is cooked. To cook kielbasa sausage, bring a pot of water to a boil. Add a few spices, such as marjoram, bay leaf, some peppercorns, and a large onion. The added flavorings help replace flavor that might be lost during the boiling. 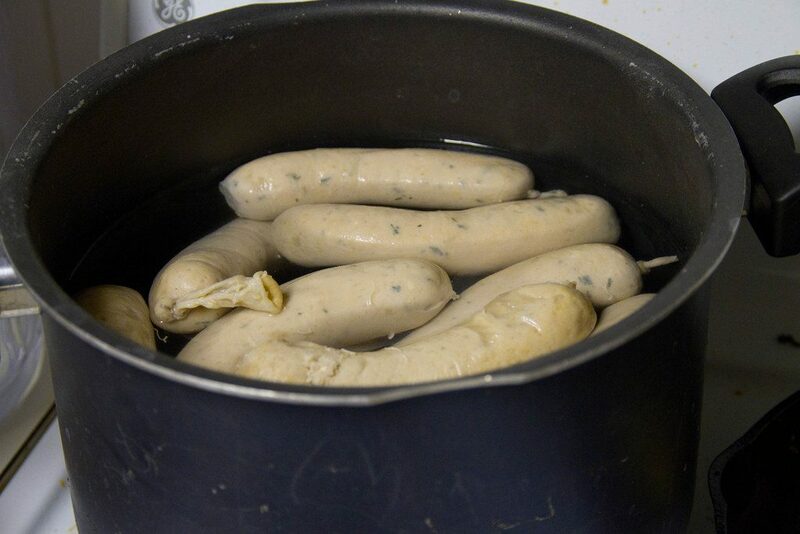 Place the sausage in the pot, making sure that it is covered by the boiling water. If the sausage is frozen, allow it to partially thaw before boiling. How long to cook Kielbasa? Cook kielbasa sausage at a simmer on very low heat for fifty to sixty minutes. The temperature of the water should not rise above 190 degrees Fahrenheit. Be careful not to over heat the sausage, as this might cause the casing to burst. Just think about the way boiled hot dogs behave, and you’ll completely understand what your sausage might do if cooked at too high a temperature. After the sausage is boiled it will still have its white color. You can add some color to it by smoking, pan frying, or placing it for a few minutes under the broiler in your oven. This is the part where you can get creative with your sausage presentation. To cook fresh kielbasa in the oven, first simmer it in hot water for fifteen minutes, as described above. You won’t need to simmer it for the full fifty or sixty minutes because the oven will finish up the cooking time. Next, transfer the partially cooked kielbasa to baking sheets. Pour a half cup of the cooking liquid over the sausages. Prick the tops of the sausage casings. Roast for about twenty minutes, or until the skin is brown and crackly. Be prepared for your family to wander through inquiring about that delicious cooking aroma! Grilling Kielbasa is super easy. First, fire up your grill and get the charcoal to the point that you have a nice, even temperature of around 300 to 350 degrees Fahrenheit. Next, place the rounds of sausage on the grill. No need to prick them or anything at this point. Brown lightly on one side to get those nice grill marks, then flip them over to the other side. At this point you can prick the sausage casings so they don’t explode, or you can slice them into rounds and add them to sauerkraut, potatoes or even to a pasta dish and continue cooking. Which brings us to the next topic. Your cooked fresh Kielbasa can be served in many of the same ways as the ready-to-eat version purchased in the snack section of your grocery or department store, but will be ever so much tastier, especially if you made your own. Here are some serving and cooking ideas for your freshly cooked kielbasa. 1. Kielbasa with Crackers and Cheese – slice the boiled kielbasa using an angled cut across the sausage. Lightly grease a non-stick frying pan with your choice of oil, and fry the sausage pieces until they are delicately browned on both sides. Serve hot on butter flake snack crackers with slices of cheddar cheese. 2. 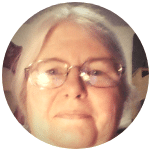 Kielbasa and Sauerkraut – What a flavor combo! Nothing brings out the flavor in kraut like a spicy sausage. Slice and brown the sausage as described above for cheese and crackers, then add drained sauerkraut to the pan. Continue cooking until the sauerkraut is warmed completely through, melding it with the juices from the sausage. 3. Spice Up Your Jambalaya – Jambalaya is one of those “use what you’ve got” dishes developed by cooks who might have had a limited choice of ingredients. Cook some long-grain rice al dente, with all water absorbed. It should be light and fluffy. Simmer a chicken (It is nice if you can get a free-range chicken and simmer it slowly, but any cooked chicken and chicken broth will do.) Debone the chicken and cube it or shred it into bite sized pieces. Cook the kielbasa by first boiling the raw sausage, then by slicing and pan frying it. 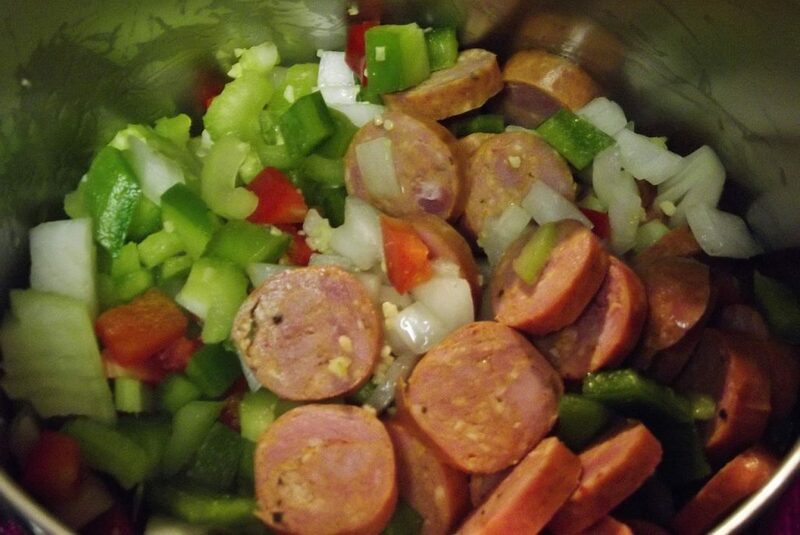 Add a cup of chicken broth, the cubed or shredded chicken meat, the kielbasa and a green pepper, a tiny amount of spicy hot pepper, and onion. Season the whole thing with some Cajun spices. Those grocery store shakers might not be perfectly authentic, but they still taste good. 4. Flank your morning eggs and pancakes with Kielbasa – suitably cooked, and browned, of course. A handy way to do this is to oven-bake your kielbasa the night before, then to warm it up in the pan where you plan to cook your pancakes and then your eggs. The fried sausage gives a rich, meaty flavor to your pancakes. Add a side of applesauce topped with a dusting of cinnamon for a little extra tang. 5. 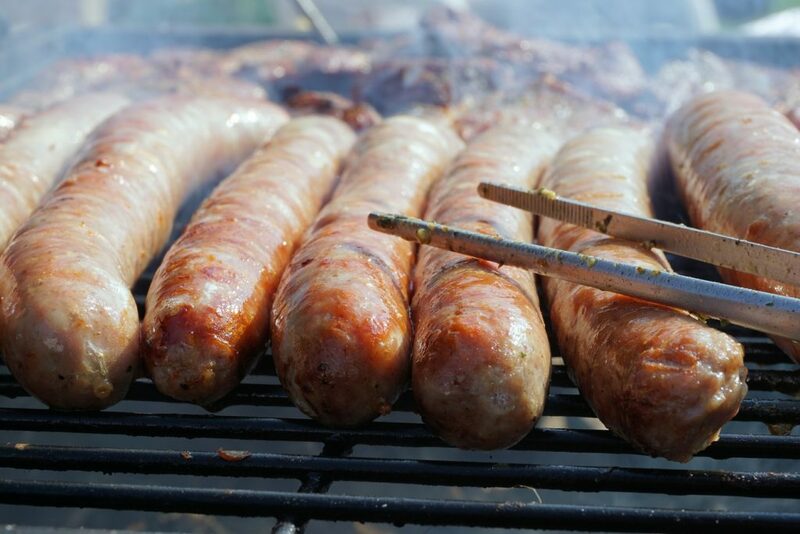 Smoke the cooked Kielbasa – after boiling your kielbasa, give it some added flavor and pizazz by smoking it. Since smokers vary in size and smoking methods, refer to the manual accompanying your smoker for particulars. Apple wood or maple both go really well with sausage. 6. 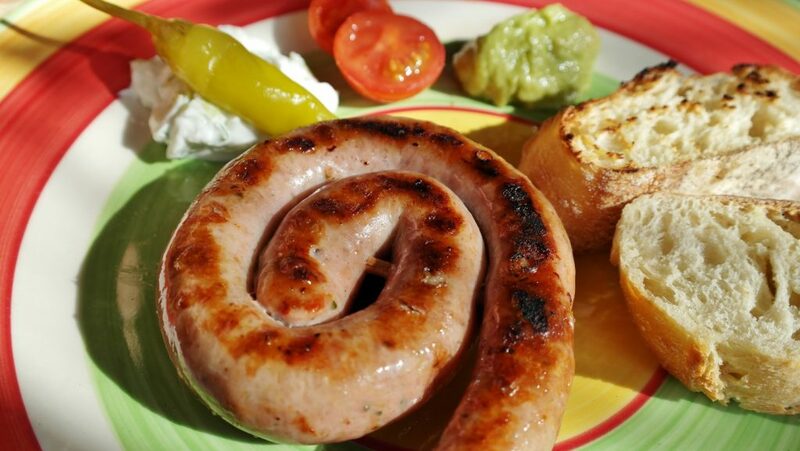 Cook a ring of kielbasa on a charcoal grill – boil the kielbasa, then score the top of it. Arrange it on a fine-screened grill surface and let it brown on one side, then turn it over and brown the other side. Tuck it into an artisan hotdog bun, add just a little bit of brown mustard and enjoy. Add a little sauerkraut for extra bite. 7. Slow Cooker – Mix honey mustard and brown sugar to taste. Try starting with a table spoon of each until you have a mixture you like. Add one can of beer. Then have some more creative fun with seasonings such as garlic, onion, curry powder and horseradish. Cut the kielbasa into chunks, drop it in the liquid and simmer for about five hours. If desired, add sauerkraut. 8. Hors d’oeuvres – if you need a fast opener for your meal, you really don’t have to add anything to kielbasa. Cook a fresh kielbasa in water. Slice it into little medallion slices and brown it in a heavy saucepan. Put a toothpick in each slice and place them on the table. You can almost bet that they will disappear faster than any other appetizer! If you want to stretch the sausage a little bit, place a square of cheese and an olive on top of each slice. Those are just a few of the ways that Kielbasa can be served. Now that you know how to cook fresh kielbasa, you can probably find other creative ways to take advantage of its rich flavor. It could be added to a bean dish, for example, or perhaps even sliced and used as pizza topping. You could even slice it longways and use it to make sandwiches. A word of advice on those sandwiches: kielbasa is a very rich protein, so it is a good idea to add some lettuce and tomato to the sandwich. KLT’s anyone?